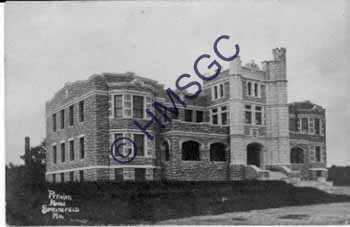 Description/History:Black and white postcard view of the Pythian Home of Missouri, built by the fraternal order the Knights of Pythias. Known locally as the Pythian Castle. Used as the service club for O'Reilly General Hospital during World War II.